Super duper gel for all your cleaning needs. 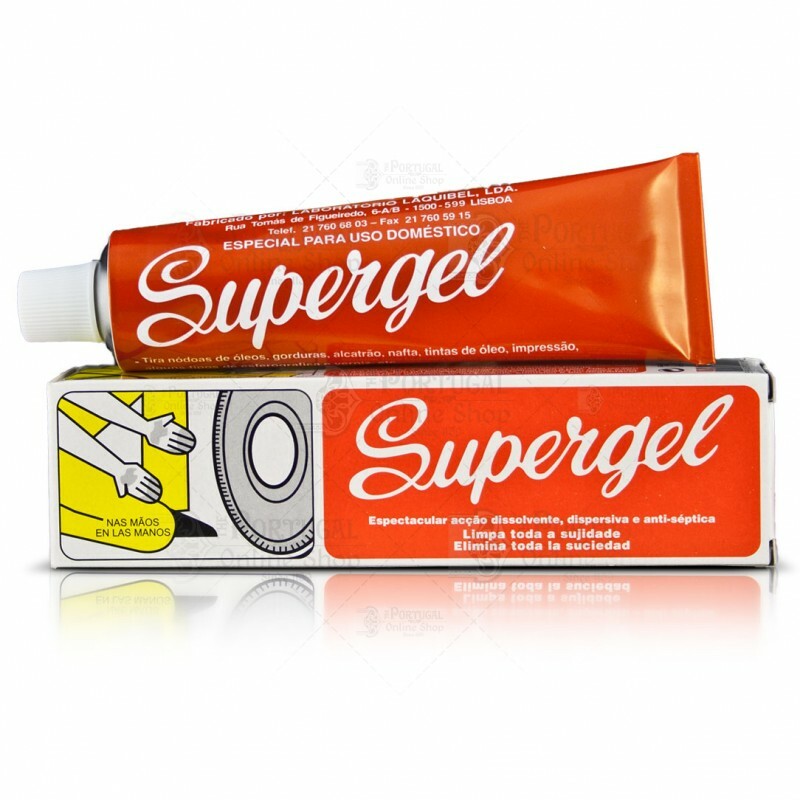 Supergel - because of its great effectiveness as a degreaser and stain remover is recommended for: hand-washing and stain removal, on toilets and carpets, tile, to remove wax from the floor, on stoves and bicycles, etc. Will not fade colors. Can be used diluted at a ratio of 1 to 10 for delicate needs. Rub a small amount into a stain and rinse with cold water. Use Supergel and your super stains will be gone! Traditional Portuguese Cleaning Product with an extraordinary solvent and emulsive action! Hand Wash - Supergel removes all kind of dirt from the hands, specially good on removing oils (vegetable, animal or mineral oils) - rub a small portion of Supergel in the skin, scrub and rinse with clear water, or just clean with a cloth. How to dilute: in the proportion of 1/10th in preferably warm water. Wash as usual and finish with a clear water rinse. How to dilute: in the proportion of 1/15th in preferably warm water. Wash as usual and finish with a clear water rinse. Briljant. 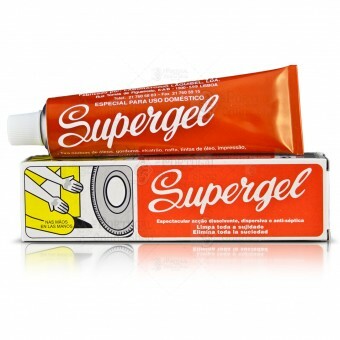 Nothing better to get stains out of your closes than Supergel. Strange they don't sell it in Holland. No effect on soft neoprene, tar stains remain. Very smelly, I strongly advise the use of gloves to avoid contact with skin.